Product #16671 | SKU 002.XS.903 | 0.0 (no ratings yet) Thanks for your rating! The Brick Shaft from Teenage Engineering is a LEGO compatible accessory that you put on any of the knobs on the OP-1 Portable Synthesizer. 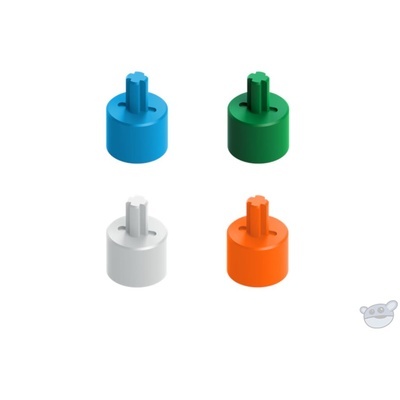 It allows you to mount any LEGO part. The big rubber wheel gives you extra grip. The brick shaft lets you build your own motor driven programmable LFO with the LEGO Mindstorm. It comes in 4 colors and lets you experiment with any parameter. It also supports any idea you may have that involves the use of LEGO bricks.